Although it is great that Missouri provides statutory protection for trade secrets, without a written agreement in place, referred to as a confidentiality or non-disclosure agreement, you are subject to the practical interpretations of judges and juries and the precedent set by common law. Consequently, it is ideal to enter into written agreements with third parties and employees that clearly specify the confidential information protected and the remedies for a breach. Utilizing a written confidentiality or non-disclosure agreement is advantageous because it allows the parties to tailor their rights and responsibilities to the particular transaction(s) and provides for contractual contingencies. Within the confidentiality or non-disclosure agreement, it is first important to specify which information is classified as confidential. A common problem with many confidentiality agreements is that the agreement uses broad, sweeping language attempting to include all information exchanged between the parties as confidential. This approach can backfire because the standard is vague and is difficult to apply to concrete situations. Not only will the recipient of the confidential information experience difficulty in delineating the confidential information from non-confidential information, but a court may also determine that the language is so indefinite that the agreement is unenforceable. At that point, the confidentiality/non-disclosure agreement fails of its principal purpose and is subject to the interpretation of the Act and common law. Therefore, a best practice to protect your trade secrets is to include broad language encompassing what information is confidential, coupled with a more specific description of confidential information to ensure that maximum protection of your trade secrets. 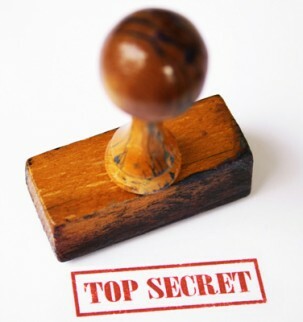 Additionally, any confidential information exchanged between you and the recipient should be stamped/labeled as confidential to further ensure trade secret protection. The stamping/labeling of the confidential documents provides an added level of protection because it further notifies the recipient that the information is confidential and covered under the confidentiality/non-disclosure agreement. The next step in a well-drafted confidentiality/non-disclosure agreement should be the “no disclosure” and “no use” clauses which specify that the recipient of the confidential information must agree not to disclose the information to any third party and that the information should not be used for any other purpose than as stated in the agreement. This is the most important part of the confidentiality/non-disclosure agreement because it specifies that the disclosure or use of the confidential information is expressly prohibited. Additionally, a confidentiality/non-disclosure agreement should specify that the recipient should take reasonable measures to maintain the security of the information, such as locking up or limiting the access to the confidential information. Similarly, in order to afford long-term protection of your trade secrets, the confidentiality/non-disclosure agreement should provide that the information exchanged between the parties should remain confidential even after termination of the relationship or agreement. Furthermore, a properly drafted confidentiality/non-disclosure agreement should have a provision specifying that the confidential information remains your property both during and after the relationship between you and the recipient. Although it seems to be a basic principle, it is important to include this so that upon the end of the relationship, both parties know who has the rights to the confidential information. In addition, the confidentiality/non-disclosure agreement should also contain provisions detailing the return of the documents at the end of the relationship with the recipient and include an acknowledgement of irreparable harm. These provisions enunciate what seems to be common knowledge, but it is always important to spell out these details because it is better to fully protect your trade secrets rather than leave it up to the discretion of judges, juries or common law interpretation. Finally, the confidentiality/non-disclosure agreement should contain provisions related to payment of attorney’s fees and choice of law. The attorney’s fee provision specifies that incurring legal fees associated with restraining the disclosure of the confidential information is the burden of the recipient. Not only does it protect your financial interest in not worrying about enforcement of the confidentiality/non-disclosure agreement, but it also becomes a burden of the recipient because they will understand the financial and legal burden associated with wrongful disclosure, thus minimizing their incentive to wrongfully disclose the confidential information. Likewise, the choice of law provision allows you to choose which state’s laws will govern the interpretation of the agreement and which circuit court will hear the matter. Although often overlooked, this is important because you want to ensure that you are given the greatest level of protection for one of your most important assets. If you have additional questions or concerns regarding confidentiality/non-disclosure agreements, please call us at (636) 386-8322. A St. Louis business law attorney at the Bolinger Law Firm, LLC will work with you to gain a better understanding of what you are protecting and develop a plan to ensure that your trade secrets are protected.